Is Pulse Electronics Corp (NYSE:PULS) a marvelous investment right now? Prominent investors are getting less bullish. The number of long hedge fund positions shrunk by 3 in recent months. If you’d ask most market participants, hedge funds are perceived as slow, old investment vehicles of the past. While there are over 8000 funds trading at present, we at Insider Monkey hone in on the top tier of this group, around 450 funds. It is widely believed that this group has its hands on the lion’s share of the smart money’s total asset base, and by watching their highest performing stock picks, we have come up with a number of investment strategies that have historically outstripped the broader indices. Our small-cap hedge fund strategy outstripped the S&P 500 index by 18 percentage points a year for a decade in our back tests, and since we’ve began to sharing our picks with our subscribers at the end of August 2012, we have trumped the S&P 500 index by 24 percentage points in 7 months (check out a sample of our picks). Just as important, optimistic insider trading sentiment is another way to parse down the financial markets. Obviously, there are many stimuli for a corporate insider to get rid of shares of his or her company, but just one, very clear reason why they would initiate a purchase. Various academic studies have demonstrated the useful potential of this strategy if “monkeys” understand where to look (learn more here). With these “truths” under our belt, it’s important to take a gander at the recent action surrounding Pulse Electronics Corp (NYSE:PULS). What have hedge funds been doing with Pulse Electronics Corp (NYSE:PULS)? At year’s end, a total of 7 of the hedge funds we track were bullish in this stock, a change of -30% from the third quarter. With hedgies’ capital changing hands, there exists a few notable hedge fund managers who were upping their holdings meaningfully. Since Pulse Electronics Corp (NYSE:PULS) has faced bearish sentiment from the aggregate hedge fund industry, it’s safe to say that there were a few hedge funds who sold off their entire stakes at the end of the year. It’s worth mentioning that Phil Frohlich’s Prescott Group Capital Management cut the biggest stake of the 450+ funds we track, comprising an estimated $0.6 million in stock., and Ben Levine, Andrew Manuel and Stefan Renold of LMR Partners was right behind this move, as the fund cut about $0.1 million worth. These transactions are important to note, as aggregate hedge fund interest dropped by 3 funds at the end of the year. How are insiders trading Pulse Electronics Corp (NYSE:PULS)? Insider buying is most useful when the company in focus has experienced transactions within the past 180 days. 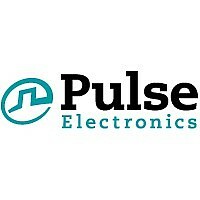 Over the last 180-day time frame, Pulse Electronics Corp (NYSE:PULS) has seen 1 unique insiders purchasing, and zero insider sales (see the details of insider trades here). Let’s go over hedge fund and insider activity in other stocks similar to Pulse Electronics Corp (NYSE:PULS). These stocks are Wells-Gardner Electronics Corporation (NYSEAMEX:WGA), Microvision, Inc. (NASDAQ:MVIS), Planar Systems, Inc. (NASDAQ:PLNR), Revolution Lighting Technologies Inc (NASDAQ:RVLT), and LRAD Corp (NASDAQ:LRAD). This group of stocks are in the diversified electronics industry and their market caps match PULS’s market cap.